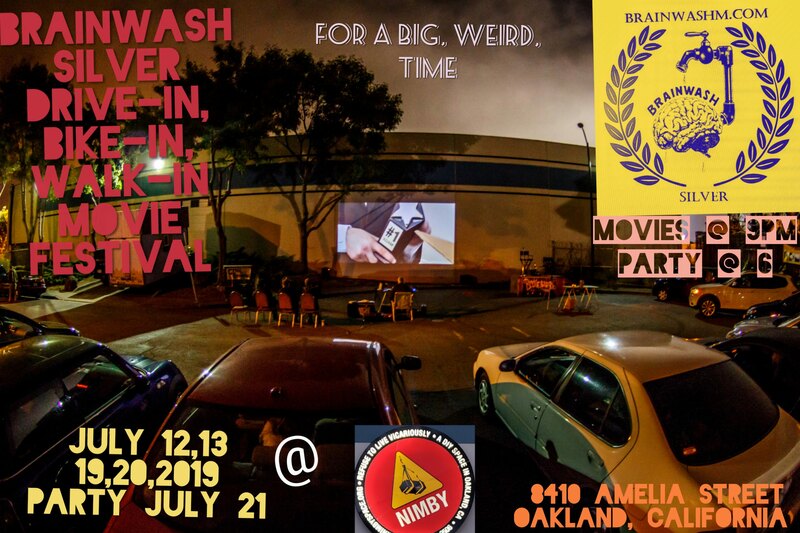 Brainwash Movie Festival: Drive-in Bike-in Walk-in Film Festival in Oakland, California - unique independent short movies! 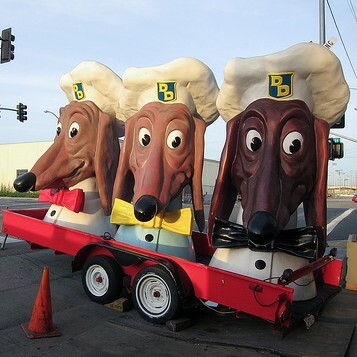 Our festival is a mainstay in the local, East Bay of the San Francisco Bay, CA, area. Submissions are now open on our website, directly at http://www.brainwashm.com/2019-call/, FilmfreeWay, Withoutabox and other major submission platforms online. Thank you reading this dribble. Hal Robins designed & drawn logo with laurels for Brainwash’s Silver 25th Anniversary Season. Brainwash, since 1995, has delighted audiences with a selection of the bizarre, the unique, and just plain old well-made movies from independent producers all over the world. With an eye toward the abstract, the innovative and the weird, Brainwash salutes it’s 25th Silver Anniversary this 2019 season and will have a Unity Night of movies as well as a hot little Silver Anniversary Celebration. We have consistently attracted entries we curate to be able to display some of the most cutting edge cinema from up and coming directors, actors, producers and crews consistently year after year. So please send us yours this year and help us celebrate! Click here to submit! Thank You! And The 24th Annual Brainwash Award Winners! More online in our Awards Presentation show on the Brainwash test broadcast so tune in! Brainwash thanks our generous sponsors! Neil Kaplan, David Sutera, Mike Snook and Nimby, Amy Stabler, Dionne Stevens, Jason Gohlke, (General Partner Emeritus), Ron Baker, Simon Lang, Michael Mohr, Jalal Elhayek, Steve Mobia, Bekah Barnett, Ben the awesome fiddle and banjo player, Doug Campbell, Mark McGothigan, Gary Nakamoto, Dave Reda, Emmanuel Jonas, Steven DeCaprio, Sarah Fisher, Yvette Hochberg, Andy Kirk, D.J. Neel N. Kizmiaz, Lillian Phaeton, Bev Reiser, The Rhythmic Revolution, Hal Robins, Betty Tweedy, Jonathan Logan, Jesse Block, Ed Holmes, Vikki Vaden, Mark States, Victor Ho, John Law, The SF Cacophony Society, (we're on pgs. 230-231), Scott Beale, Rob Schmidt, J.D. 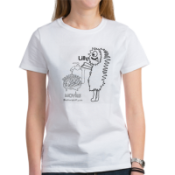 Boggmann, Mr. Mystic, M2, Burning Man, Phil Shuey, Kathy Vaquilar, Annie Coulter, Mike Dingle, SomArts, Jabari Herbert, Monsa, Phil Snyder, Mark Thimijian, ALL of our moviemakers! and, in memoriam to Michael Hawk and Les Blank, whose movies live on. Theme Music for the Festival and Big Weird Time Webisodes: Traffic Man, written by Dave Krzysik & Ed Bullins. Hot Tub Man: Benny Lewis, Joe Shelby, Gaylord Birch, Nik Phelps, Joe McKinley, & Dave Krzysik. Hot Tub Man, with a different line-up, also performed Find Your Place, moviemaker Scott Bartlett's last movie.